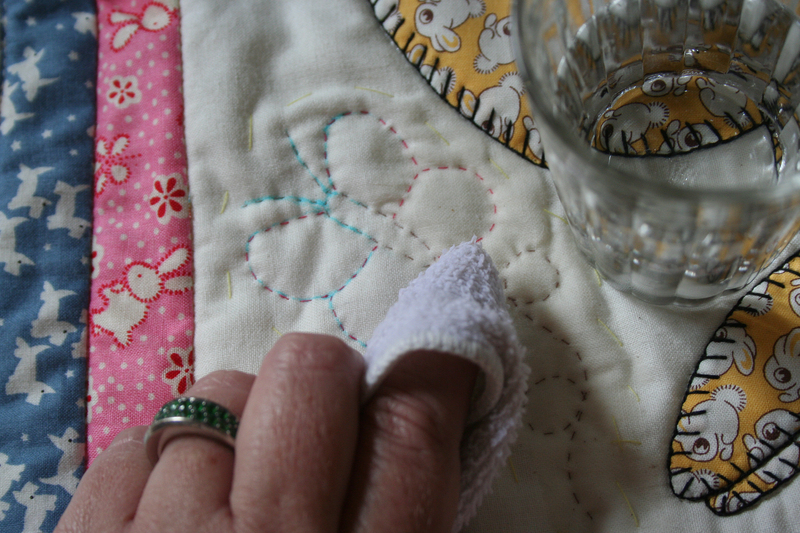 I've been on a hand quilting kick here lately. 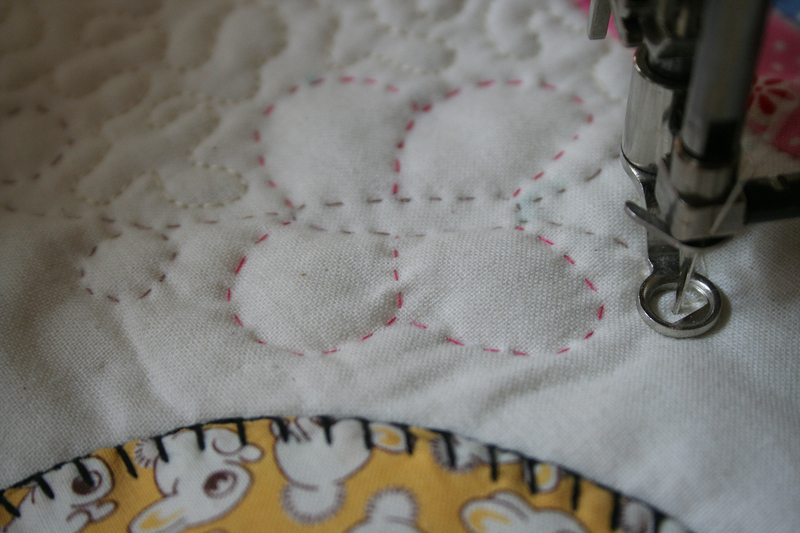 This time I have added little hand stitched butterflies to some of the blank spots in my blocks, then I filled in the rest of the block with stipple quilting on the machine. 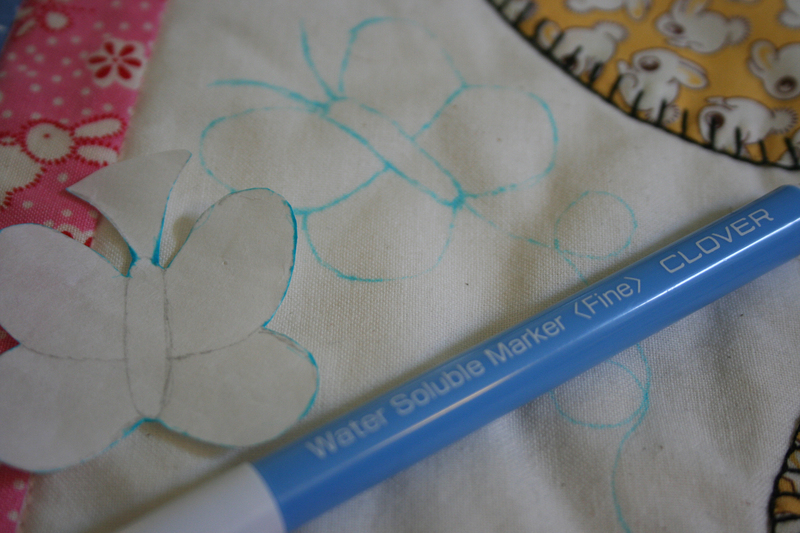 I have a white background this time, so I used the water soluble blue marker(1) to trace around a freezer paper pattern. Since this is so small, I did not take the time to press it down with an iron. 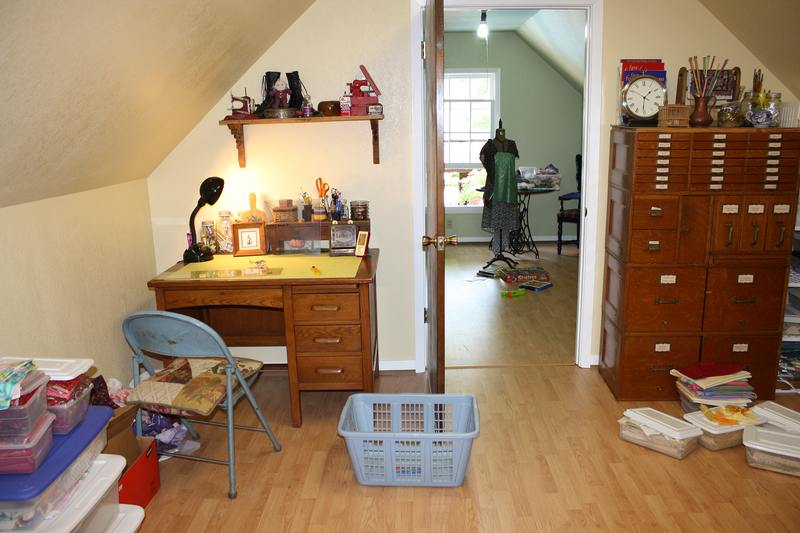 I simply held it in place and traced around it. I hand basted around my marked pattern to keep the layers from shifting, then hand quilted right on top of the blue lines. A little bit of water and a rag removes the blue marks as shown here. 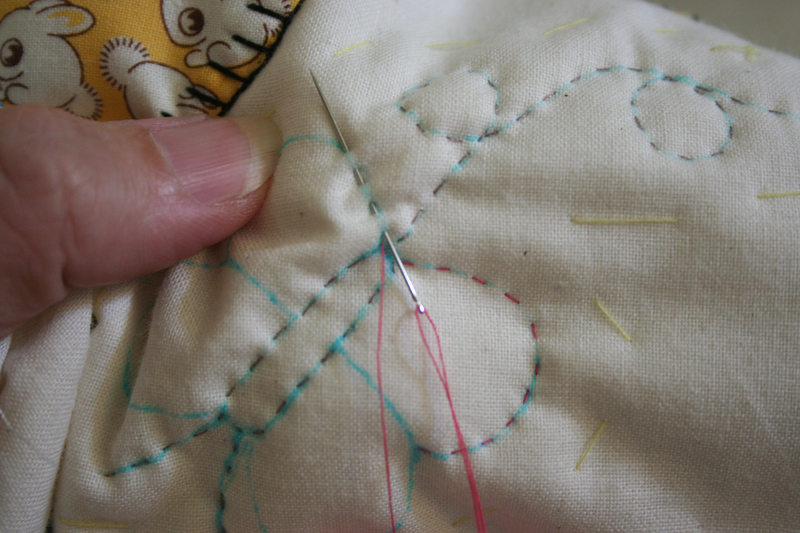 I use a darning foot to add some free-motion stipple quilting around the motif. As the water dried, a small amount of the blue markings re-appeared. Simply dab at it again with water and they will clear right up. Thanks 🙂 To me it is relaxing.It gives me something to do with my hands while I'm in front of the television. Thank you Jordan,Cross stitch will make you cross-eyed :-)I never could finish cross stitch either, quilting is a bit better in that you have more to show for the hard work. That's a lot of good work. 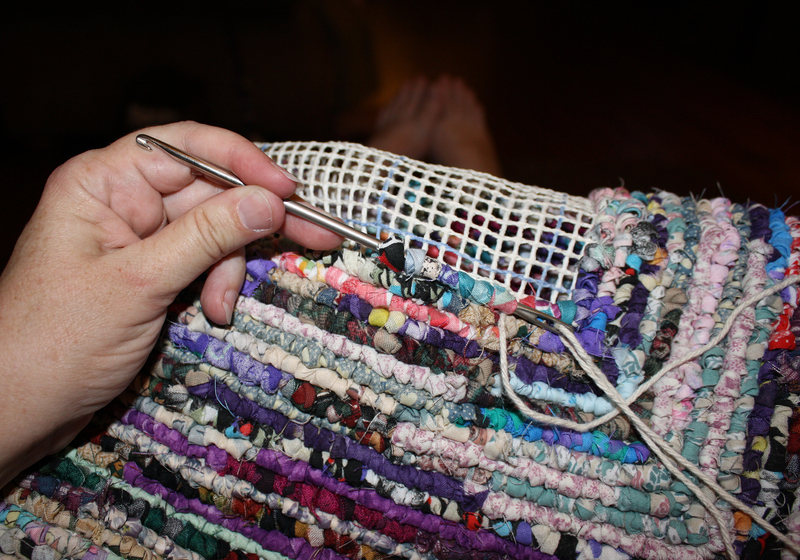 I wish I had the patience to crosstich. 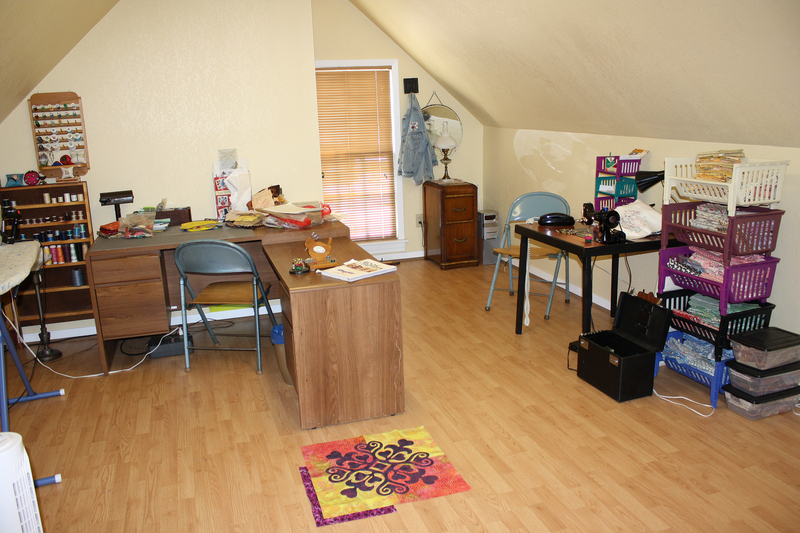 Tried is as a teen, and then as an adult, but I never seem to finish whatever I started. Thanks Emjay, it is easy. It's nothing more than a series of baby steps. You make it sound so easy!! Looks great! So many really cute things at that link. Thanks !! Thanks! You should give it a try someday. 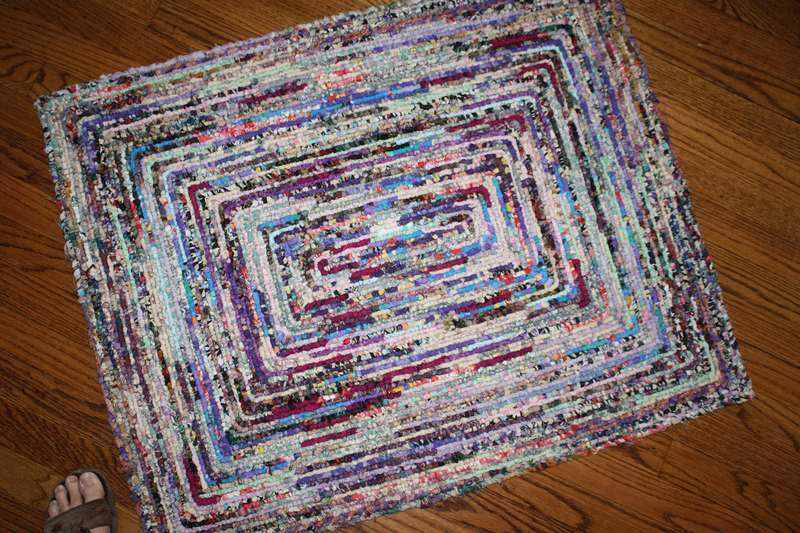 I've got some free patterns on my website. 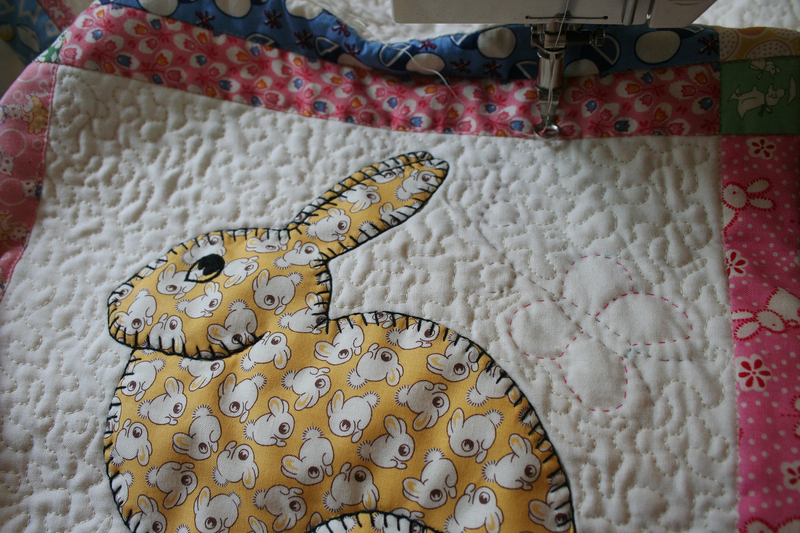 I love the little clouds that were created by the stipple quilting…and the big yellow bunny made of bunnies….how cute ! !